David Walliams books have become huge in recent years one of the big releases has been Ratburger. I have taken a look around the internet to find some of the best prices for Ratburger Children’s Costumes. There are many different qualities between these costumes of Ratburger so make sure you take a good luck at what is available. 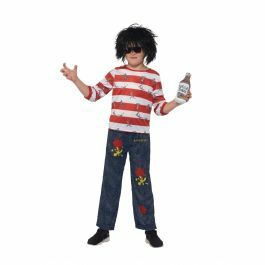 I have managed to find costume starting at just £5.99 remember when ordering these fancy dress costumes for one off occasions such as world book day these fancy dress costumes are ideal. Ratburger is the fifth book published by David Walliams, children have gone crazy for all David Walliams books there is also talk of an area at Alton Towers opening next year as Walliams world.